You have a passive-aggressive behavior if you indirectly resist authority. People with such behavior indirectly show resentment towards another person. It is never easy to be in a relationship with a passive-aggressive person. These people do not engage in conflicts, but they do not forget and forgive. That anger continues to buildup in them and emerges when events finally reach a more volatile stage. If you find these behavior patterns within yourself, learn to stop being passive aggressive to improve the quality of your life. It is hard to be in a relationship with someone who is passive-aggressive by nature. These people do not show their anger right away but keep things buried in their heart and make a move when you least expect anything bad from them. If you believe you have these behavior patterns within yourself, you may want to take the following steps to change this emotional response. You cannot learn how to stop being passive aggressive unless you first realize that you have this problem. You develop this type of behavior when you want to please other people. Some people experience these behavior patterns when they try to avoid conflicts and still want to appear confident. Others do not talk about what they do not like just to avoid being criticized or rejected. This is when you convey your message through passive-aggressive behaviors, such as gossip, sarcasm, giving other person the silent treatment, quitting, or stalling. You may find it a better approach to deal with things, but this makes you look cold, butter, insensitive, difficult, and manipulative. Therefore, the first step towards making behavioral changes is to understand more about your response in different situations. You may not handle every situation in a passive-aggressive manner. Most people have certain triggers that make them show a passive-aggress behavior. Writing about your response to different situations will help you identify a pattern and trigger. Once you have identified the triggers, you can simply avoid them the next time to control your behavior. You are not going to learn how to stop being passive aggressive until you make a conscious effort to be more expressive. Understand that you have the right to show how you feel and what you want. Once you start believing the fact that you have the right to express your needs, you are less likely to get affected by others' opinions. This helps you be more direct and keep you from keeping grudges. To develop that understanding, you have to practice listening to what you really want. You should also take steps to give it to yourself. The idea is to treat your needs, desires, and wants as valid and then experience how good they feel. This will also make you believe that others should treat you in the same manner. What it means is that you do not always need to do start a conversation with someone to get to know more about them, but you can observe them more and read unspoken messages to improve your emotional response. That observation may show you that the other person is as passive-aggressive as you are. This helps you approach things from a different perspective and even makes it easier to review the whole situation before showing any reaction. You have a passive-aggressive behavior pattern if you do not confirm a problem and instead let it escalate. You may be doing it in many different ways, like procrastinating at work, refusing to do the dishes, and not doing something you are supposed to do. You should try to address the problem before it actually becomes a bigger issue. This will eventually help you change your passive-aggressive behavior. Instead of chasing a negative outcome, you should focus your energies on getting successful. You are likely to resort to a passive-aggressive behavior when admitting failure early. Learn to raise your expectations and take pride in your work. If possible, make necessary changes to ensure that your work becomes more fulfilling. You cannot get successful overnight, but the idea is to make positive progress. This will help give up your passive-aggressive behavior and make it easier for you to communicate what your true feelings are. You develop a passive-aggressive behavior pattern when trying to express what you want but others do not consider it important. It is therefore important to learn how to be more assertive when expressing yourself. Just try to be honest and respectful and others will start considering your opinions too. Understand that it is possible to be direct without hurting someone else's feelings. 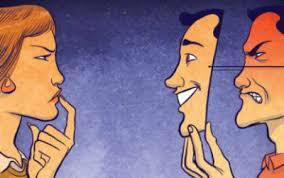 For this, avoid playing the blame game and try to express your true feelings in a positive manner. To learn how to stop being passive aggressive, you need to make yourself understand that conflicts are not uncommon and can actually help you learn something new. Sometimes, people believe they are having disagreements, but those conflicts are usually nothing more than misunderstandings that can be cleared easily. Your focus should be on making your discussions positive and constructive. When you understand this, you will be in a better position to make compromises and help bring 'win-win' results. The idea is to take control of things instead of letting your passive aggressive behavior escalate a problem. What Happens When Your Cherry Pops? My Boyfriend Takes Me For Granted? Try the 9 Tricks, Girls! Where Can I Get Tested for STDs? What Does AIDS Stand For? Copyright WWW.NEWHEALTHADVISOR.COM © 2014, All rights Reserved. Last Updated 24 April, 2019.